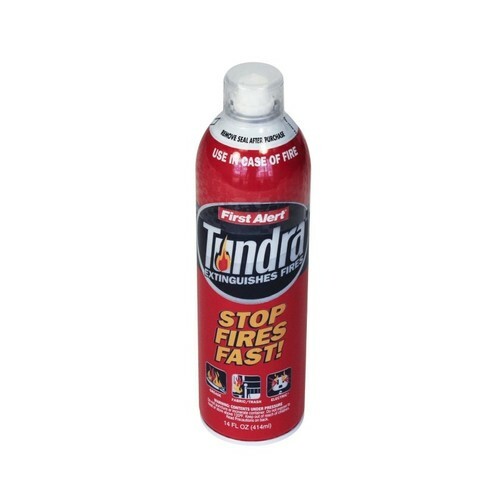 Tundra Fire Extinguishing Spray is more effective than comparably sized traditional fire extinguishers on fires including paper, wood, fabric, cooking oils and electrical fires. 4x greater discharge time vs. traditional fire extinguishers allows more time to fight the fire. Easy to use aerosol can and spray nozzle design is intuitive to use. Easy clean-up, biodegradable.